Everyone needs to live somewhere, and, often, they are challenged, to decide, whether they are better off renting. or buying, a home of their own. 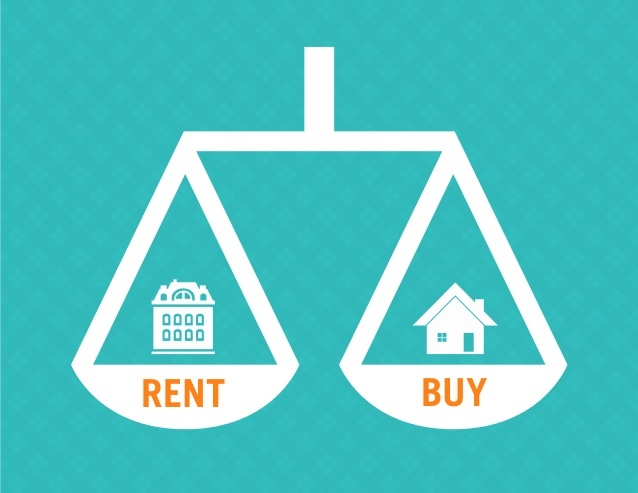 Depending on a number of factors, including, the purchase price of the house, mortgage interest rates, costs of rents/ leases, an individual’s needs/ prioritizes/ circumstances, etc, a potential homeowner, should, fully and thoroughly, consider and examine, as many relevant factors, as possible, in order to enhance his potential, to make the best personal decision. With that in mind, this article will attempt to briefly review, examine, consider, and discuss, 5 advantages of opting for home ownership, rather than choosing, to rent. 1. Building value, rather than merely, paying another bill: When one rents, he pays his monthly expenses, including the rent, and receives a place to live, but retains no future ownership/ value! When one buys, rather than rents, he maintains ownership rights, which, historically, has translated, to, keeping up with inflation, and so, at least, some of one’s payment, go to a degree of asset value, etc! 2. Pride of ownership: Studies have continuously indicated, most people, take great pride, in owning a home, of their own! How much value, that translates to, varies from individual, to individual, but, most would agree, when one resides somewhere he is proud of, he feels better about himself, and gains a finer self – confidence, and inner happiness! 3. Customize: When you rent, you do the best you can, within the constraints of the existing property, It would be folly, to expend funds, on a property, you don’t own, nor does one’s lease, generally permit so. As your circumstances change, you will have to either move, or live in less than appropriate conditions. In addition, your rent is only fixed for the period/ length/ term of your lease, but, it is also true, when one owns, costs change, because of potential tax, maintenance, etc, increases. However, owning means, you can make the home, represent your needs, to the degree of the zoning restricts, and financial considerations! 4. Personalize: When you rent, you must get your landlord’s approval, for many personal touches, including, painting, etc. In addition, items such as window treatments, etc, create challenges, to feeling, like it’s yours! 5. Tax advantages: Most homeowners use a mortgage, to purchase their house. Mortgage interest is, still tax – deductible, and, for many, makes the true costs of home ownership, less, than, renting. In addition, even though the local tax deduction, has been reduced to a capped – level depending on, one’s personal situation, owning a house, often, makes financial sense. While it’s not for everyone, and some people don’t have the necessary down – payment, and/ or credit, to purchase, for many, there are several advantages to home ownership. Consult with a professional, and determine, what’s best for you!